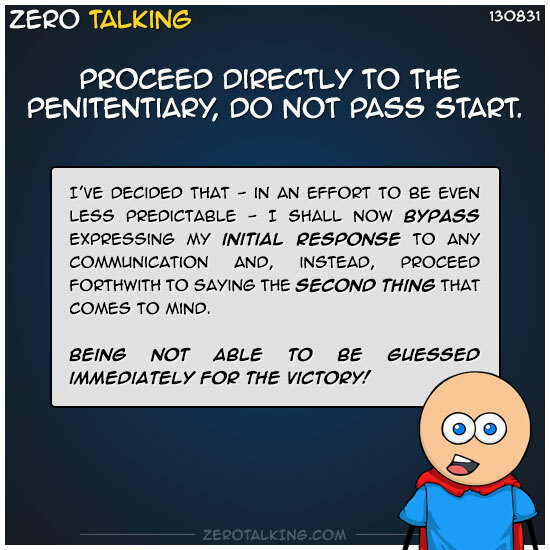 Proceed directly to the penitentiary, do not pass start. I’ve decided that — in an effort to be even less predictable — I shall now bypass expressing my initial response to any communication and, instead, proceed forthwith to saying the SECOND thing that comes to mind. Being not able to be guessed immediately for the victory!